India, the 7nd largest country by area with 1200 million people across the nation making it 2nd populated country in the world. India is the only country other than US and Japan, to have built a super computer indeigenously. India is the secular country with diversity of people from different background, caste, color and creed. You must be feeling Proud to be an Indian reading so many facts about India. But let me tell you, I am not. These were the facts which we used to hear while growing up. Now, if we look at present scenario, there are much more reasons for not feeling Proud to be an Indian. I'll keep the post limited to 3 facts only. 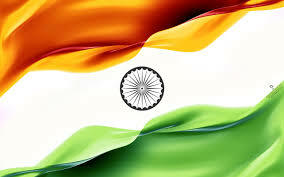 We the citizens of India are all one despite the variety of color, lifestyle, language. The words in the poem have lost their importance. It has just become another poem to be sung on patriotic day. The Unity in Diversity is no more. All I can see today is a person from one state is being mobbed by other people from the state in which they are residing. A particular person can only rent an apartment only when they belong to their community. We live in a country of great democracy, where the constitution was made with the motto - to the people, by the people and for the people. Which people are they talking about? Democracy is for the people, by the people and to the people. Not when you are requesting an ex-President not to run for election again and making their own Govt. Do they even know the meaning of democracy? Or they just don’t want to follow any law and order by themselves and will make an amendment as and when required so that the so-called-democracy will not die brutally. As I started developing my thinking skills, I found the present is awful, more awful than it was when we were under British Rule. Although, they looted India financially but they developed India architecturally. What I see today is, not only we are being looted financially but our basic rights are being snatched away, which is my third point. Third Reason. Right of freedom/speech. Should I feel proud when the right of freedom of women is tormented is forced by a group of mentally retarded maniacs and actions were taken against the culprits only when people raised their voice and blocked the road. Or should I feel proud when the people who are entitled to save us are into silly fights of whether their action for taking her to a distant hospital was justified or not. Or should I feel proud when a person is put behind the bars when he said/draw an image of the current govt. Or should I feel proud when a whistleblower, an RTI in India is being gunned down the goons against whom he/she has raised his/her voice. No, I don’t feel proud to be the part of this shameless society anymore. And why is it happening. Because we don’t know our rights effectively. We have a Right to Vote. You all know that. And, how many people know that they a Right of No Vote too. Did you know that there is a system in our constitution, as per the 1961 act, in section "49-O" that a person can go to the polling booth, confirm his identity, get his finger marked and convey to the presiding election officer that he doesn't want to vote anyone! Yes such a feature is available, but obviously these seemingly notorious leaders have never disclosed it. This is called exercising the right to “NO VOTE” and under section "49-O" . Why should you go and say "I VOTE NOBODY"... because, in a constituency or ward, if a candidate wins, say by 123 votes, and that particular ward has received "124" “NO” votes, then polling will be cancelled and will have to be re-polled. We have the power to change our nation. And, what we really do. We vote for the person from our ward or from our locality. And then we blame govt. Have we ever blamed ourselves for not choosing the correct person? Have we ever blamed ourselves for not casting our votes. Be the change you want to see in the world. Till then, I am not proud to be an Indian. I am not. And still.. Are you? ?